The limping cat: In this third part Driven to Write asks why Jaguar continues to under-perform in its most crucial market? Despite the improvements that took place under Ford ownership and enhanced resources provided by Tata, Jaguar continues to seriously under-perform globally. According to JLR, Jaguar sales rose 13% year-on-year, retailing 49,656 vehicles in the calendar year to date and 6,069 in the month of July alone*. However these figures belie several more troubling factors. Jaguar sales in the once vital American market keep falling. XF sales were down 51% in June against the same period last year, while XJ sales fell 11% over the same period. Only the F-Type showed growth. Sales, boosted by the newly introduced coupé variant rising 47% against July 2013. In fact, Maserati now outsells Jaguar in the US; a proposition considered unthinkable only 12 months ago**. Overall, Jaguar’s UK sales now eclipse that of the US, raising the question – what has gone wrong for the marque in the land of the free? Firstly, they lack a compact saloon – and with the forthcoming XE compact saloon not arriving stateside until the 2017 model year, Jaguar dealers will have a much longer wait than they might have hoped. Secondly, the XK grand turismo is being phased out with no direct replacement in sight. 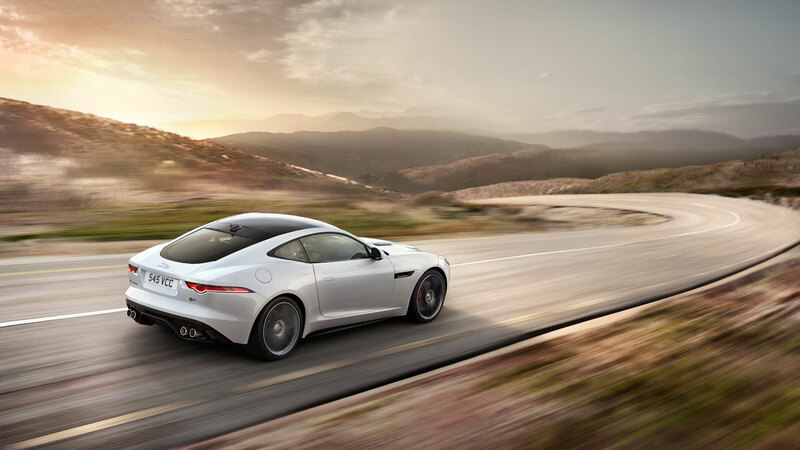 This model has traditionally proven popular amongst luxury car buyers in America and many existing owners will not trade to an F-Type – a distinctly different offering. Thirdly and perhaps most vitally, Jaguar has no SUV or crossover on sale in a market that has gone nuts for these vehicles. By contrast, US sales of the Range Rover Sport are up 44% this year, while the Evoque posted an upswing of 31% against figures for June 2013. Jaguar has nothing to offer buyers who don’t want a saloon or a sports car, while their rivals offer a bewildering array of alternative body styles. Jaguar needs to significantly broaden its model range if their share of the US luxury car market is not to contract further. But above all, it needs an SUV or crossover – fast. As America contracts for JLR, China emerges in its stead. Constituting a mere 8% of JLR’s net volumes in 2010, the country is now their largest single market, forming 24% of net unit sales last financial year***. 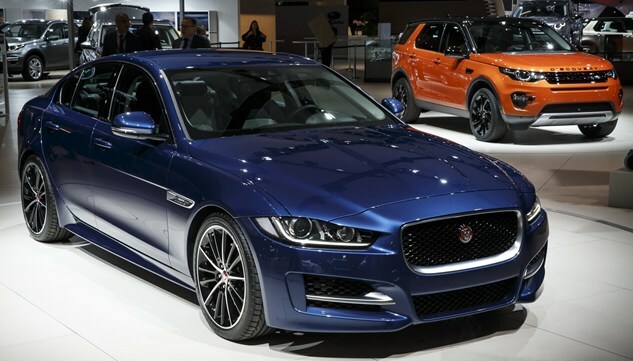 Jaguar’s new XE saloon has the potential to transform Jaguar’s fortunes worldwide. The compact executive saloon sector is amongst the most vibrant in the auto market and if XE is sufficiently attractive to buyers, Jaguar’s volume could more than double. It certainly needs to. JLR maintains the break even volume for XE is around 70,000 units per annum. In a growing sector, this is an achievable goal, but it relies upon the product being right. If it succeeds, Jaguar could double its output within two years. 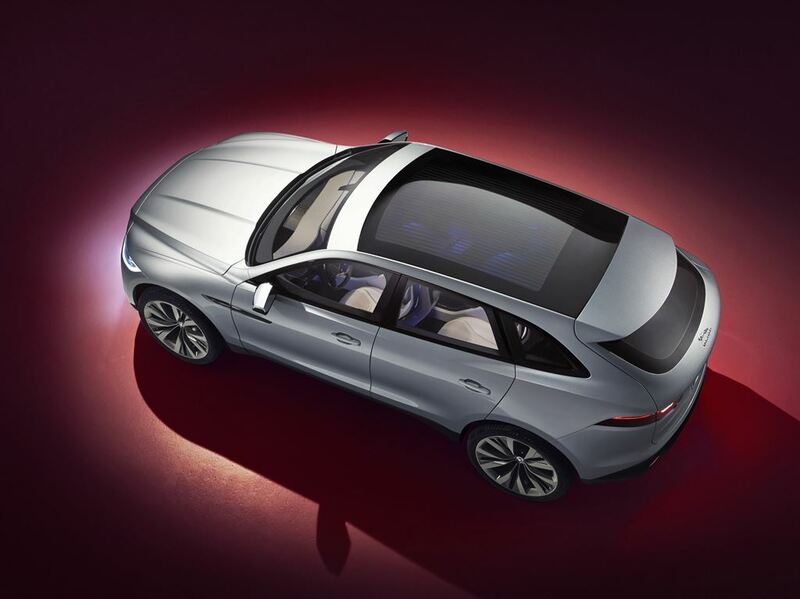 If they take the decision to add a CUV to their range – (and by heavens they need to) – this could rise to over 200,000 units annually; making Jaguar both viable and profitable for the first time since the mid -1980’s. However, should XE fail, they could have another X-Type on their hands; a car that never met its lofty sales projections, lost Ford $billions and indirectly lead them to consider offloading Jaguar to Tata in the first place. Getting it right with Jaguar will be crucial to JLR’s long-term plans for stability, giving them a car brand with heritage, kudos and market mobility. It is possible to imagine Jaguar being anything from a small hatchback to a luxury Crossover – the crucial issue will be execution. Despite the muted initial response to the new XE from some quarters, experts appear to be more enthusiastic, with IHS Automotive suggesting to Automotive News this week that XE will likely be a success. Nevertheless, there remains some work to be done not only to convince the doubters, but also to see Jaguar as a positive contributor to JLR’s bottom line. Thanks for that. One thing that keeps coming up in the discussions at TTAC is reliability. The XE is a massive gamble for JLR. I think it has every chance of success given the very professional, if slightly uninspiring, package that has been delivered, however, it has to score very highly for reliability to have a chance in the US – which is very difficult for a ground-up new design. There is further investment required to fill-out the range (estate, coupe, SUV, AWD option, broader range of petrols/ diesels including V6s), on top of what must have already been massive. If it does not sell to target, JLR could be holed beneath the water, and may not recover …. Anyone with an even remotely realistic understanding of the automotive business knows that XE is the make-it-or-break-it car for Jaguar. The XF may have prevented the ship from sinking (along with LR’s subsidies), but the current range isn’t enough to keep the ship afloat. As S.V. pointed out, the XE’s from-the-ground-up nature is both a blessing and a curse: for the first time, independent JLR management and engineers could design a car without any strings attached to Uncle Henry. Unlike the compromised F-type, the XE stands for what JLR can truly deliver when given free reign. We shall find out about the results soon enough. THE XE looks as though it could be a fine drive, and maybe a pleasant place to sit. However the reason for its styling is a bit confusing. The moaners who already said they couldn’t tell an XF from a Lexus presumably now will moan that they can’t tell one from an XE either. Have they taken the one style fits all sizes philosophy of Audi too far? It works for Audi, but …. A small sports saloon should surely have a style of its own. It should suggest you chose it because that is what you wanted, not because your budget couldn’t stretch to an XF. My own feeling is it could do with a bit more flair, going for the fine line between style and flashiness that Lyons trod so well. I’m reticent to bring this up because, as Ian Callum says himself, it’s a personal project and he has every right to do what he likes. However, he has allowed it to be widely publicised, with the idea of replicas being made, and it is naive for any designer not to expect that even his choice of toilet paper dispenser will be scrutinised, so what do we think of his resto-rod Mark 2? I find it a jarring blend of old and new. It doesn’t have the glorious madness of an AMG W108 Mercedes, which was produced in its time, but neither is it a Mark 2 for the 21st Century. Frankly, to my cynical eyes, it’s a bit Cars & Car Conversions. And he’s retained the leaper. I’m always leery of designers doing the old “I’d have done better” routine. The question worth asking here is whether his modifications have added anything of note to a design that has latterly achieved the status of icon. To my eyes, it appears a tasteless alamgam of latter-day design traits – none of which coalesce visually or attempt to solve any of the original design’s flaws. Pivotally, the car’s originator would most likely have been appalled. Say what you wish about Sir Bill, but the man had taste. With this car, Callum suggests he himself does not. An unpardonable sin for a car designer. Regarding the XE, its unremarkable lines suggest either JLR understand their market better than I do, or that Jaguar has something more alluring up their sleeves further down the line. If indeed there are to be other body styles available, a more shapely four door coupe would be one way of adding a bit of visual lustre to the range. However if this is really the best they can do, I’m worried. Just this once (and hopefully never again), I feel urged to agree with Eoin. In every respect. Callum’s Mk 2 is a pretty garish concoction, and one I’d like to disregard, if only its creator wasn’t a man of such importance (in Jaguar enthusiasts’ terms). As a statement, I find it more disconcerting than Laurens van den Acker’s collection of trainers or Gerry McGovern’s faux Richard Meier/Mies van der Rohe villa. Thankfully, I only need to look at an Aston DB9, F-type coupé or X351 XJ if I feel in danger of losing sleep over Jaguar’s stylistic future. The man is no Gorden Wagener, despite this severe slip-up and his frumpy dress sense. I actually also happen to believe that JLR management know what they’re doing regarding XE. At the beginning of this particular project, I remember a lot of semi-internal debate being centred around the argument what kind would work as a serious alternative to the BMW 3 series. This, of course, made me hope for a kind of R-type coupé 2.0, but alas, JLR management seems to have come to the conclusion that the 3 series driver could only be enticed by something that’s moderately different, and not substantially so. And despite my personal disappointment, I can understand the reasoning behind bowing to the market’s demands. After all, I’m keen on Jaguar existing as a vivid brand in a decade’s time – which means a certain number of cars will have to be sold, which in turn means that the focus, right now, cannot be on fringe tastes. Regrettably, but unavoidably. I find myself a bit lost. I disagree entirely with those who think that a ‘true Jag’ can only be traditionally styled and full of wood and regard Callum as the Antichrist. They’re either younger than me and don’t remember what Jaguar was in the 60s before it lost its way. Or they aren’t, in which case I assume they were quaffing pints at the YCA and waiting for their moustaches to grow when I …. wasn’t. Either way they’re deluded. I’ve been very sympathetic to Mr C’s difficult job until now, but this was because I thought he was starting cautiously before getting more ambitious. The XE is competent, but not ambitious in any way appearance-wise, which disappoints me, but still doesn’t make the car as a whole undesirable to my eyes. The Mark 2 is just …… personal so, despite what I write above, not really my business until I see replicas offered for sale at which point I’ll feel freer to comment. What I do think the Mark 2 demonstrates is that Ian Callum doesn’t (or shouldn’t) do side vents. Look at the slab on the X350, stolen off a Range Rover. Look at the fussy little chrome thing on X351. Look at these.